Henry Winkler has appeared on both the big screen and the TV screen, on stage, and behind the camera. Perhaps to many of us living in the 1970’s and ‘80s, he’ll forever be remembered first as the leather-jacket wearing, motorcycle-riding Arthur Fonzarelli, AKA, the “Fonz.” But Henry Winkler went on to produce television shows, like the very successful and popular show, MacGyver; direct several movies; and act in Neil Simon’s play, The Dinner Party, among others. He also pens the popular Hank Zipzer series, with co-author Lin Oliver, about the adventures and misadventures of the ever resourceful, but struggling student named Hank. Henry and Hank have a lot in common, mostly because the books center around the real-life experiences of Henry Winkler. Despite being bright, both of them found school very difficult, no matter how much they wanted to do well. That’s because both of them have dyslexia—something that Henry didn’t discover about himself until he was 31. He went from audition to audition until he landed a role that would bring him great success, and worldwide recognition as the extroverted, extra confident, and extra cool teenager Arthur Fonzarelli on Happy Days. 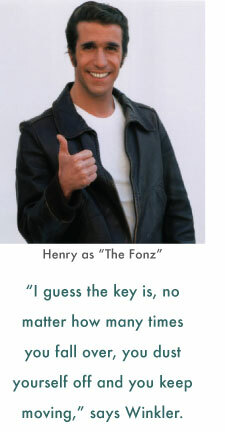 “The Fonz” was supposed to be a small part when Henry first started, but his charisma and energy soon made his character a star. Despite Arthur Fonzarelli’s apparent ease on the screen, Winkler was anything but self-assured with the script. It took him two days to read and review his lines, and even then he improvised his lines because he couldn’t remember the script he so carefully worked on once he was in the studio. But he got the essence of it and ran with it. The hard work paid off, and earned him two Golden Globe awards for best actor. “I guess the key is, no matter how many times you fall over, you dust yourself off and you keep moving,” he tells Marie Speed of Success Magazine. In multiple ways, Winkler practices what he preaches. 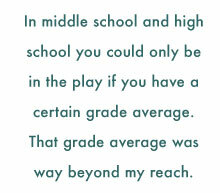 In 1999, the celebrated playwright, Neil Simon asked him to read for his play, The Dinner Party. This was an honor that could easily turn into an embarrassment for someone who struggles to read “cold” and often improvises his lines. “My first impulse was to say, ‘thank you very much, but I’m busy,’” Henry recalled. “I then thought to myself, ‘oh my goodness; how can you say no? How could you possibly turn this down?’ And then I said to myself very easily, ‘you can’t do this, you’ll be out of the business, you’ll be out of your life. Aside from this, you’ll be embarrassing yourself into oblivion.’” He decided to do it anyway. He asked for the script early and read it every day. Simon asked him to be in the play. It started in LA and went all the way to Broadway. “Can you imagine if I had given into my fear,” Henry marveled. “You don’t have any idea how powerful you are and what you can achieve. You literally cannot give in to your fear. You literally have got to walk over it, step on it’s face and keep moving toward where you want to go and eventually, if I can get there, there’s no reason you can’t get there.” Henry emphasizes this to his young readers, especially, but everyone, no matter how old or young, can use this as a mantra throughout life. Winkler’s positive impact goes even further and more widespread—to the children throughout the US and the UK who read his books, and even their parents and teachers. “We don’t write down to children, so everybody laughs when they read the book. But I know for a fact that they are also useful,” Winkler said. 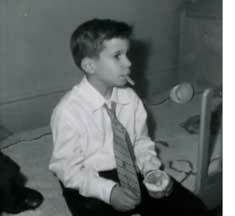 With seventeen in the series, more than three million copies of the Hank Zipzer books have been sold in the United States. Children have written to him asking, “How do you know me so well?” And parents have said, “Oh my god; my child has never read a book, and they have now read five of yours. They would never attempt reading before.” Henry knows of the pleasure that books can bring, despite the difficulty he has reading them. 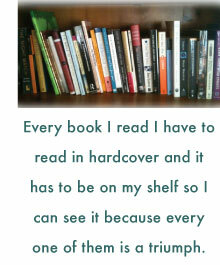 “Every book I read I have to read in hardcover and it has to be on my shelf so I can see it because every one of them is a triumph,” he says. Editor’s note: The publication of the 17th Hank Zipzer novel, A Brand-New Me!, marks the end of the series, with the graduation of Hank Zipzer from PS87 to middle school. What’s next for Hank? Well, first he has to pass tests to see what middle school he will attend—something where his dyslexia could get in the way. Knowing Hank, he’ll come through with flying colors, despite being a slow reader.